Over the years, numerous people have asked me how I got started in the speaking, coaching, and writing business. The journey actually started while I was running my organization and approaching total burnout. I was a one-man show doing everything in my organization. In my leadership conferences I called myself “SUPER KEITH.” If anything needed done, it was Super Keith to the rescue. The day my life changed was when I went to another organization and saw the CEO actually allowing others to do the work. I thought to myself, I can’t even get a handful of people to work like that for me. At the end of the meeting with the CEO, I was given a cassette tape by John Maxwell on leadership. After listening to the tape, I realized I had to develop and grow my leadership competence. Up until that moment, I never saw myself as a leader. I thought, like most people, that leaders are just “naturally born,” and I was not fortunate enough to be chosen. However, this challenged me to become a leader and that leadership is a skill that can be developed. Leadership is both taught and caught. One of my mentors, John Kelly, is a natural leader; he was raised by a father who built some of the largest bridges in America. As his father modeled leadership skills, John caught those skills that he needed. However, in my childhood, I did not have a role model father from whom I could catch leadership skills; so, I had to be taught. Most people do not realize how important it is to learn leadership skills. In order to lead, you must be willing to get out front—to be assertive, bold, willing to take risks, and secure in your own skin. 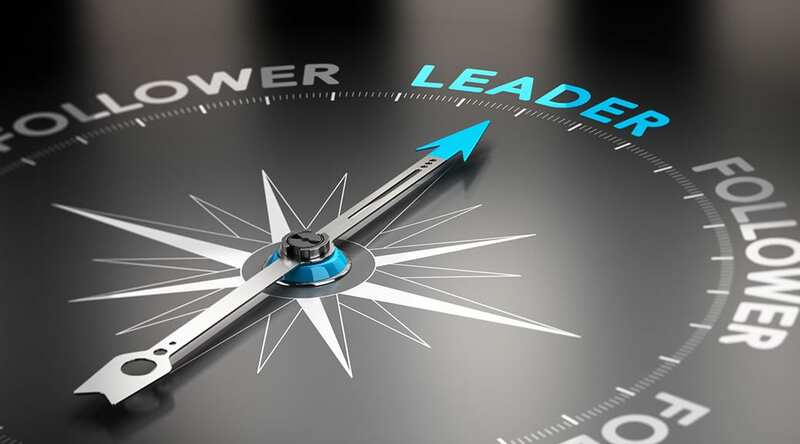 Power, influence, and financial rewards go to the person who will take a step out from the timid crowd of followers and have the confidence to point the way into the future. Developing yourself as a confident leader is the solution to reinventing your life, growing your ministry, exploding your business, and skyrocketing your income. In order to lead, you must be willing to climb out on the edge of the branch where all the fruit is. Followers hug the trunk of the tree because they are afraid to step out onto the limb. Lead connotes “being out front.” It takes confidence, chutzpah, to get out front! Caught up in a leadership vacuum, people will follow anybody who is willing to get in front. If those who are trying to lead are poor examples, they can cause some serious damage to those who are following them. History gives us many stories of people who produced both good and bad examples from whom we can learn. The truism that fits here is, “Those who do not know history are apt to repeat it.” You can learn from the failures of history’s leaders and even those leaders around you. Take the time to sit down with somebody who has failed dramatically but is now stronger than ever and ask, “How did you get to this point in life?” You can also learn from success. Ask a successful leader, “How did you do it?” Leaders love to talk about themselves and share their experiences and wisdom. Everyone will be remembered for the example they left behind—good or bad. Make sure you are remembered as a good one. No Success: These people will go to their graves and never taste the fruit of success. The FUD in their lives keeps them from taking the first step in their journey toward success. These people live their entire lives in a continual struggle to survive. They are inward-focused because all they can think about is themselves and how they are going to pay their bills. Temporary Success: These people experience a level of success. Their confidence and competence has moved them up the ladder of success. However, their success is only temporary due to their lack of character. Eventually, their character causes them to slip off the mountain of success, crashing and burning back into the valley of survival. Lasting Success: These people become and remain successful throughout their entire lifetimes. Yes, they may experience temporary setbacks or even horrific failures, but they have the confidence and character to rebound, to maintain success, and to push beyond mere success to make a lasting impact and leave an impressive legacy for others to follow. 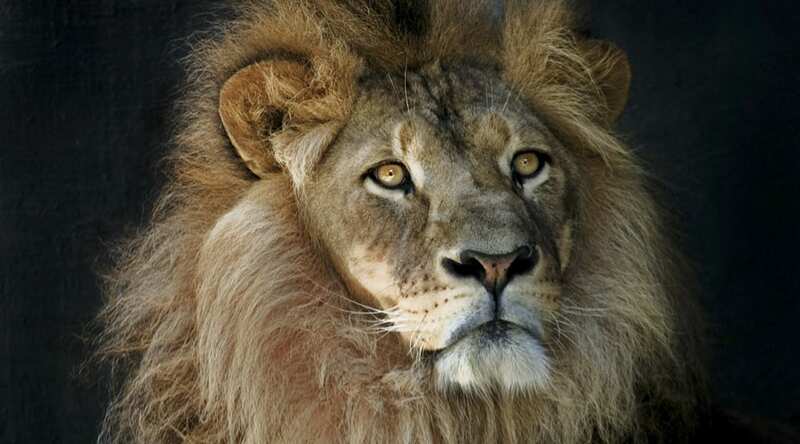 Why is the lion considered the king of the jungle? Because he’s the biggest, fastest, prettiest, hardest working animal in the jungle? No! So why is he the king and on top? Because he’s the most confident! What I have discovered is that this truth in the jungle is also true in the financial, business, and cultural jungles in which we live. Creative Ideas! More Solutions to Problems! There are nearly seven billion people in the world. Young and old. Rich and poor. They come from different walks of life. They come from different nationalities, cultures, and languages. But they all have one need in common—CONFIDENCE. They need the confidence that can empower them to live life at its fullest. Successful people do habitually what unsuccessful people occasionally. Everybody wants to have more confidence, more success, more money, and more fun. Right? It is not really “super hard” to obtain these things. If you buy into the myth that gaining more confidence is hard, you will not even try to obtain it. Obtaining more confidence, success, money, and fun is not a matter of working harder, it is a matter of creating the right success habits. What becomes a habit will become easy in time. The success of your future is hidden in your daily habits. You do not determine your future; you determine your daily habits. Your daily habits ultimately determine your future. A habit is an unconscious behavior requiring no effort. A habit is something that you do every day that becomes easy. You don’t even have to think about it—it’s something you do automatically. Let me illustrate. You have developed a daily habit of brushing your teeth. This daily habit has produced a mouth full of healthy, sparkling white teeth. Your daily habit of brushing your teeth produced the future condition of the health of your teeth. Some people have not developed this daily habit. Therefore, they will most likely lose most of their teeth before they die. The outcome of every bad habit usually does not show up until later in life. You can trace every failure in your life to a bad habit that you permitted to occur daily in your past—in your mind, actions, home, or life. You see, your daily habits determine the quality of your lifestyle for the future. Every Olympic champion knows the results of good daily habits. 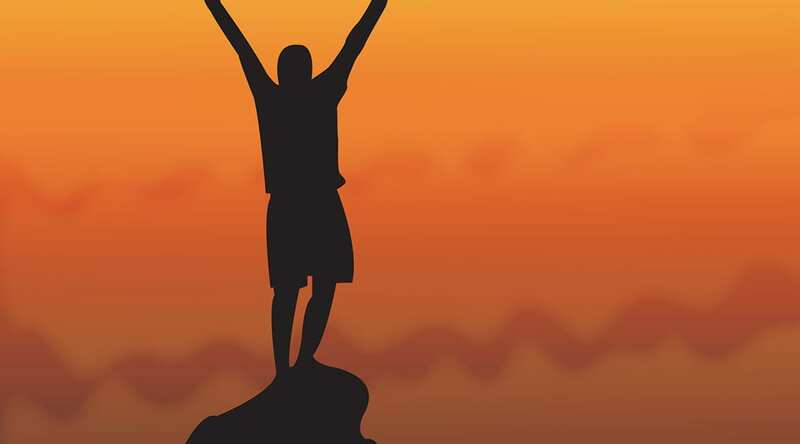 Good daily habits not only sharpen a champion’s mind and body but they also produce a great side effect—confidence. The Olympic champion knows what his or her body will do when it is called upon to perform. The motivational speaker knows that they are communicating effectively when they approach the podium. They have confidence in what they can do because of their daily habits. Confident people have confidence-producing habits. Successful people have successful habits. Confident people have developed confident habits. Successful people do daily what unsuccessful people do occasionally. Developing new habits will take some time. Some people say that it takes a minimum of twenty-one days to create a new habit. For the next twenty-one days, I want you to work on projecting an “I am confident” attitude. The person who has developed good daily habits is confident that good things will happen to them instead of bad. Your confidence cannot make up for a lack of competence. Some people confuse competence, which is a function of skill, with confidence, which is a function of attitude and beliefs. Your confidence cannot make up for a lack of experience. My confidence comes from my age and experience. It is natural as a young person to lack self-confidence, but as we grow older, we realize that we may not care so much about how others view us and that we should be willing to trust our own judgment day-to-day. Experience in performing our jobs clearly increases our confidence level. Your confidence cannot change the facts. If you are six feet eight inches tall, no matter how badly you may want to be a professional horse jockey or how confident you are, if you can’t even ride a horse beyond a gallop and your stature is too large to be a successful jockey, this is the wrong career choice for you. Now if you change your mind and have a talent and desire to be an NBA guard—that career choice is a real possibility. Your Confidence will not stay on High automatically. The success of your future is shaped by your passion to increase your competence. Your professional career will only rise to the level of your incompetence. You will rarely be promoted beyond your competence levels. Competence is having superior technique. There are proven success principles governing money, relationships, and career. When you learn them and then internalize them, you develop superior technique . . . The future belongs to the competent. To win, you need superior technique. Few people train themselves long enough to discover how excellent they can truly be. When your confidence increases, your competence increases at the same time. It is important to understand the relationship and synergy between confidence and competence. 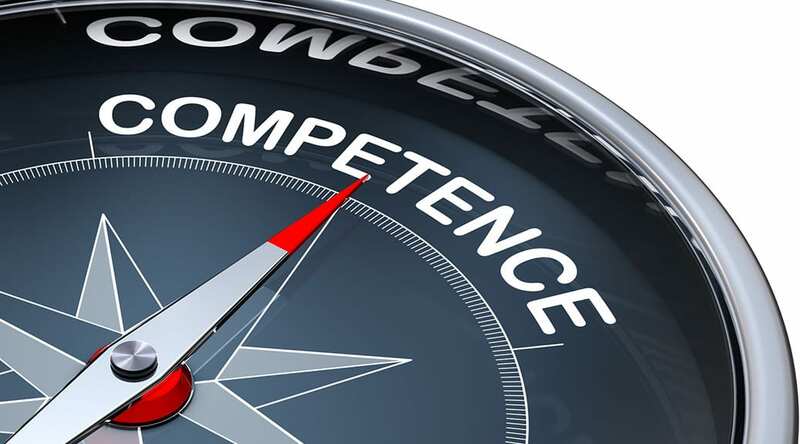 Competence: The ability to do something. Confidence: Your belief about your competence. Confidence without competence can be a very dangerous combination. An absolute recipe for disaster consists of people who lack competence yet have unjustified confidence. For example, you can be confident that you can fly an airplane. However, if you tried to fly an airplane with no training, your outcome would spell DISASTER! Conversely, competent people who have tremendous skills, wisdom, and understanding yet lack confidence will never act on what they know. I had the competence to run ten miles with my track coach. However, I did not have the confidence in my abilities to achieve the goal of becoming a winning track and field athlete. Competent people without confidence will end up stuck where they are because they refuse to act. Confidence without competence is dangerous. For years I had conditioned my mind to think, I can’t. So I would not attempt to do anything new in my life. Once I realized this negative programming, I reset my mindset by constantly telling myself, in challenging circumstances or when trying something new, Yes, I can! A few days before going to a conference, my wife mentioned that she needed a haircut before we left. However, the beauty salon was booked for the week, and she could not get an appointment. At that time, a popular hairstyle was to have it shaved short in the back. Well, with my new “Yes, I can!” attitude I sold her on the idea that I could take the trimmers and cut her hair for her. As I started with a #4 comb on the trimmer, I had difficulty cutting her hair, so I thought I would try to freehand without the guard. Well, you guessed it. The trimmer slipped and took a section of hair all the way down to her scalp. I had all the confidence in the world. The problem: I did not have any competence. One’s only security in life comes from doing something uncommonly well. The secret of power is the method by which the fire of youth is translated into the knowledge of experience. Competence is attained through hard work, increasing skill, and the pursuit of excellence. Every study of high-achieving men and women proves that greatness in life is only possible when you become outstanding at your chosen field. The foundation of lasting self-confidence and self-esteem is excellence, mastery of your work. Invest in your most valuable asset—you! All the confidence in the world is meaningless if you do not have the knowledge it takes to put your confidence to use. Confidence is built upon what you know. Ignorance breeds fear; the more you learn about your subject, the less power fear has over you. When you increase information, you increase confidence. Learn all there is to know about your field of business: daily operations, customers, competitors, services, and product lines. Invest in yourself, your education, and the tools you need to acquire knowledge. Also invest in relationships; surround yourself with people who have wisdom, knowledge, and understanding. How will knowing more about all these things help you gain more self-confidence? That is very simple. If you knew every imaginable answer about your business, you would never be afraid of any conceivable question that a supervisor, client, customer, or fellow employee might ask. You would be an expert in the eyes of your clients, work associates, and your boss. Most importantly, you would be an expert in your own eyes. Would this make you more self-confident? Absolutely! Make it your personal goal to become an authority at what you do. When people come to you for answers, you know that you have become an expert in your field. Becoming an expert is easy. Yes, I said easy, if you have the right formula. I learned a simple formula to skyrocket my income and to become an expert, and it has helped me to become known as America’s #1 Confidence Coach. Here are the details of the formula: Read (R) one hour a day about your subject (S) or your field of work for five years (Y) and you will rise to the top 5 percent in your field. Do you want to increase your income? If so, remember, the market will pay an expert wage for an expert. If you don’t like your income, you can do something about it by becoming an expert. Be a lifelong student. The more you learn, the more you earn, and the more self-confidence you will have. Make a decision today that you are going to prepare yourself to become an expert at what you do. You are going to know more about your field of business than any other person knows about your business. This is a big decision. It will take a great amount of personal pursuit, study, and effort. Here are five easy keys to help you prepare for expert status. Key 1. Read an hour every day about your chosen field. Charlie “Tremendous” Jones, author of Life Is Tremendous, says, “You will be the same person in five years except for the people you meet and the books you read.” If you take the time to read one book every month about your industry or desired profession, in ten years you will have read 120 books. That puts you in the top 1 percent of your field and guarantees your success. The person who does not read is no better off than the person who can’t. The person who has knowledge and does not apply it is no better off than the person who is ignorant. Remember this, all the books you have not read will not help you a bit! Become committed to becoming a lifetime learner. When you’re green you grow, when you’re ripe you rot. Key 2. Turn your car into a university on wheels. Listen to educational audio programs in your car. The average person drives between 12,000 and 25,000 miles per year, which works out to spending between 500 and 1,000 hours per year in the car. You can become an expert in your field by simply listening to educational audio programs as you drive from place to place. Many stores sell audiotapes, CDs, and videotapes featuring top personal development trainers and business leaders. Key 3. Attend seminars given by experts in your field. Learn from the experts. Ask them questions, write them letters, read their books, read their articles, and listen to people with proven track records in the area in which you want to be successful. Key 4. Take additional courses and learn everything you possibly can. Pursue an advanced degree at Destiny College or take some intensive training classes. You can become an expert and gain additional self-confidence if you are willing to pay the price of extra effort. Key 5. Search the Internet. We are living in the information age. The Internet is a wonderful source for finding information. Add your name to some mailing lists of organizations or groups of people in your professional field. A huge amount of terrific information is out there waiting for you.